Diana was born in Wilberforce on 31/10/1850 and baptised on 30/10/1853 in C/E in Wilberforce. 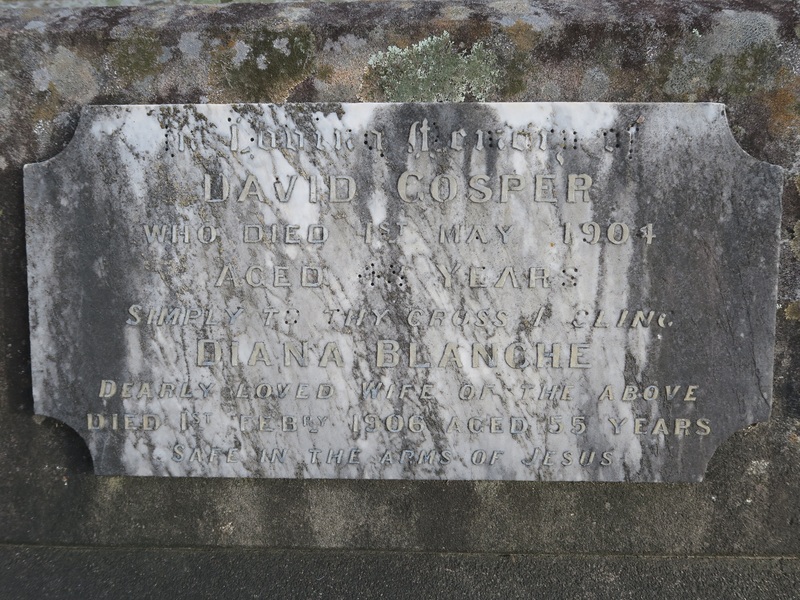 ​On 08/08/1877 she married in Windsor to a Windsor born man David Gosper. David was born on 29/03/1856. ​David died on 01/05/1904 in Windsor. Diana died in Windsor as well on 01/02/1906. Both are burried in Windsor, St Matthews R/C. For a full version of the Obituary click here. Anne, known as “Cissie” was born on 19/11/1878 in Windsor. 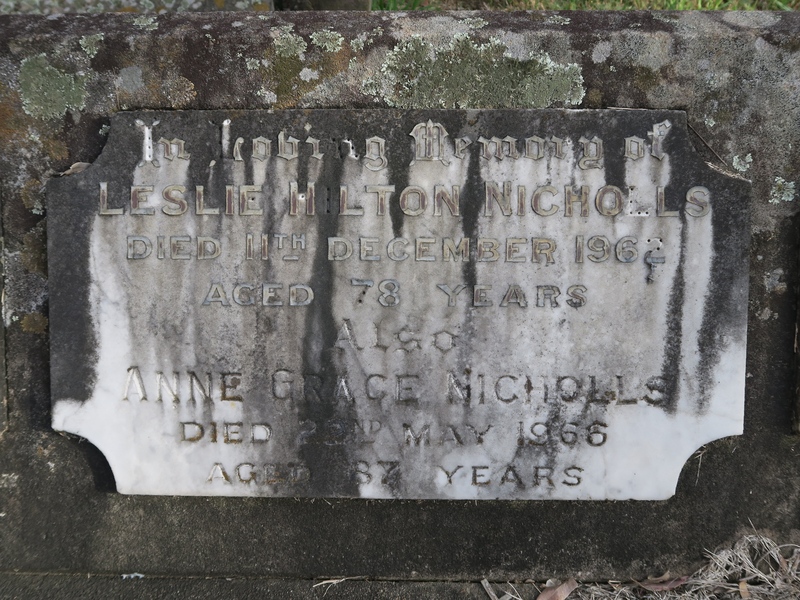 She married on 24/04/1909 in Newtown to Leslie Hilton Nicholls, born in 1884 in Freemans Reach. Nicholls – Gosper – April 24, 1909, at Christ Church, Enmore, by the Rev R. Noake, Leslie H., third son of Mr. and Mrs. Fred Nicholls, of Freeman’s Reach, to A. G. (Cissie), eldest daughter of the late Mr. and Mrs. David Gosper, of Newtown, Windsor. ​Leslie died on 11/12/1962 in Windsor Hospital. Anne died on 22/05/1966 in Windsor. Nicholls, Anne Grace (Cis) – May 22, 1966 (suddenly) at her residence, 500 George Street, Windsor, dearly loved wife of the late Leslie Nicholls, aged 87 years. At rest. Nicholls – The relatives and friends of the late Anne Grace (Cis) Nicholls are invited to attend her funeral service, to be held in St Matthews Church of England, Windsor, this day, commencing at 4 o’clock. The interment will take place in the churchyard. Both are burried at St Matthews Anglican Church Cemetery in Windsor. Eva was born 15/02/1884 in Windsor. She was Christened on 19/03/1884 in Windsor. 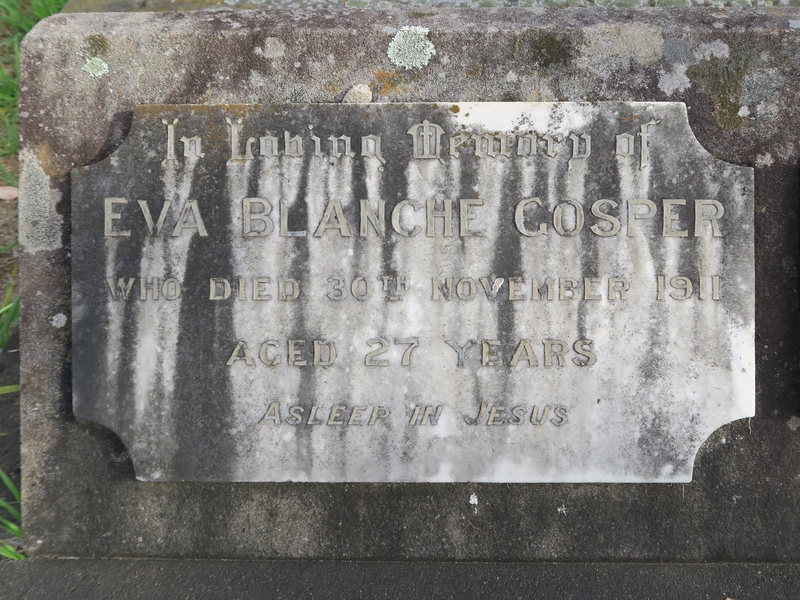 Eva died on 30/11/1911 in Richmond. Edith was born on 30/01/1887 in Cornwallis and christened on 20/02/1887 in Windsor. ​She married on 14/12/1912 to Percy James Chandler. Percy was born in Windsor on 31/12/1890. ​Edith died on 25/11/1927, injuries sustained by a car accident and following an operation, in Darlinghurst and is burried in St Matthews C/E Windsor. After the death of Edith in 1927, Percy married to Edith Elizabeth Pye (1885 – 1969). 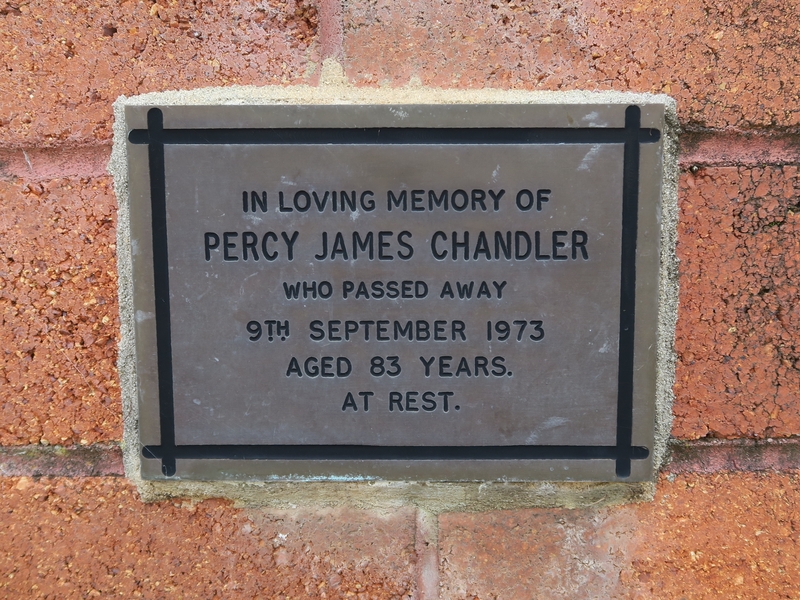 Percy died in Windsor on 09/09/1973 and is burried at St Matthews Anglican Church in Windsor. District Coroner’s Advice To Medical Profession. Death of Mrs. P. J. Chandler. Coroner’s Advice To Medical Profession. The District Coroner (Mr. H. S. Johnston, J. P.), gave expression to the above remarks at the Windsor Court House on Wednesday, when he conducted an inquiry into the circumstances surrounding the death of Edith Josephine Chandler (41), who was injured in a motor car accident on the Windsor Road in June, 1927, and who died following an operation in Molong Private Hospital, Sydney, on November 25 last. 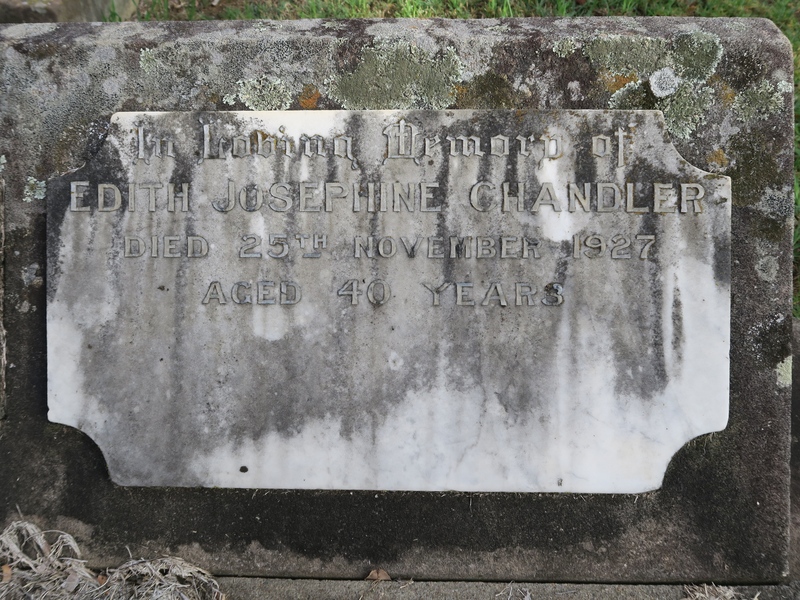 Percy James Chandler, undertaker, of Windsor, and husband of the deceased, told the Coroner that he and his wife, accompanied by Nurse Cartwright, were proceeding along the Windsor Road towards Parramatta at about 12 p.m. on June 9, 1927. Both the deceased and Nurse Cartwright occupied the front seat with witness, and when about three miles from Windsor, one of them inquired if the nurse’s hamper had been put in the back of the car. Witness turned around to see if the hamper was there. Simultaneously the car left the road, and before it could be righted it crashed into a culvert. The effect of the impact resulted in Nurse Cartwright, who was sitting in the middle, being thrown on to the floor of the car, but witness did not move from the driver’s seat. Neither did he see what happened to the deceased, but came to the conclusion that she was hurled out of the car, because she was subsequently found on the roadside. Witness said he was travelling about 20 miles an hour at the time, and that his car was badly damaged. After the accident, proceeded witness, Dr. Harbison was summoned and the deceased was conveyed to the District Hospital, where Dr. Arnold took the case over. Deceased remained in the hospital for five weeks, when she was removed to the residence of her sister, Mrs. Nicholls. Although far from complete recovery, deceased left the institution on the advice of the doctor, who pointed out that she would be better with relatives than at the hospital. Acting on the advice of Dr. Arnold, witness consulted Dr. Sands, of Macquarie Street, Sydney, on November 15, regarding his wife’s condition, and an operation was performed on November 24, but the patient succumbed the following day. Beatrice Cartwright, nurse at the District Hospital, Windsor, was the next witness, but before she commenced her evidence Mr. J. M. Ross, of Messrs. J. J. Paine and Co., endeavoured to interpose Dr. Arnold, who, he said, had an urgent case to attend. The Coroner, however declined to adopt this method of procedure. All witnesses, he said, should be in attendance at 11 o’clock, and they should remain until the Court concluded. Quite recently the City Coroner had occasion to reprimand a medical man because he infringed the rules of the Court. “Am I to let the patient die?” asked Dr. Arnold from the floor of the Court. Dr. Arnold: I was not subpoenaed. Sergeant Loomes intimated that he communicated with the residence and gave instructions that the doctor would be required at the Court that morning. Dr. Arnold said he had been called into consultation by his colleague in connection with an urgent case. There were only two medical men in Windsor and it was impossible for him to make other arrangements. Mr. J. M. Ross: The doctor’s evidence won’t take five minutes, your Worship. “I’ll have to go,” said Dr. Arnold, as he made towards the door of the Court. Dr. Arnold: I can’t say, your Worship, I’ve not seen the case. It was thereupon agreed to allow the doctor to absent himself for half an hour, “and I hope you’re back within that time.” added the Coroner. The evidence of Beatrice Cartwright was then taken. It was similar to that of the first witness. Dr. F. P. Sands, 175 Macquarie Street, Sydney, said that on November 15 he was consulted by the deceased who was sent to him by Dr. Arnold, of Windsor. The patient described the injuries she sustained as the result of a motor car accident in June last. She was suffering from an injury to the brain, which witness attributed to that accident, and he advised operative treatment. On November 23 the deceased was admitted to Molong Private Hospital, Darlinghurst, and after being operated on the following day was returned to bed in good condition. On the evening of November 24, the Matron reported that the bandages around the patient’s head were stains, and upon removing them witness found blood issuing from the interior of the brain. Witness succeeded in stopping the bleeding, but the patient did not rally, and died the following day after having passed into a condition of coma. In his opinion the cause of death was due to a rupture of a blood vessel owing to increased blood pressure, which occurred occasionally when patients were recovering from an operation. Witness added that on the day following death he handed a letter to the deceased’s husband for transmission to the Windsor District Coroner. The Coroner, however, intimated that he did not receive the letter. Dr. Arnold, who had by this time returned to the Court, stated that he saw the deceased at the District Hospital on June 9, and upon examination found that she was suffering from a depressed fracture of the skull and shock. She was taken to the operating theatre where the depressed bone was removed. There was hemorrhage into the brain cavity which was under abnormal pressure. This was relieved by drainage. After five weeks in hospital, deceased returned to her people where witness saw her at intervals and eventually recommended consulting Dr. Sands. Percy James Chandler was re-called by Mr. Ross. The Coroner remarked that Mr. Ross had not indicated whether he was appearing in the case. Mr. Ross: I’m appearing for the husband, your Worship. I thought the Court understood that. Witness, in reply to Mr. Ross, stated that on November 26 he was given a letter by Dr. Sands addressed to the District Coroner. Two days later he delivered it to Sergeant Loomes for transmission to the Coroner. The Coroner, after giving expression to the remarks at the outset of this report, found that death was due to hemorrhage of the brain following a surgical operation to the head, rendered necessary by the effects of injuries accidentally received through being thrown out of a motor car on the Windsor Road.